It’s no surprise that businesses rely on technology, but some companies have bigger technology needs than others. For instance, companies that operate web-hosting, data-centers or other large computing needs might need multiple servers to keep their systems up and running, as opposed to smaller companies that might only need one or two servers to complete their work. That’s where a heavy duty server rack shelf comes into play. 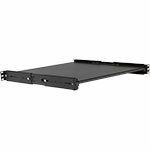 These Rack Mount Adjustable Rails Kits are a great way to rack mount devices without mounting hardware. Both the depth and width are adjustable depending on the rack used. 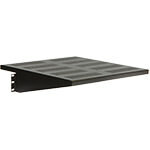 Either 19" or 23" or any custom width, this product facilitates easy rack mounting. 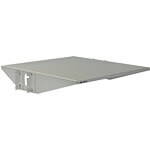 This vented shelf helps prevent overheating with equipment and provides a sufficient amount of room for equipment. 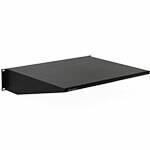 Taking up one rack space, this 19" keyboard shelf is the smaller of the two offered and holds standard keyboards along its curved surface. 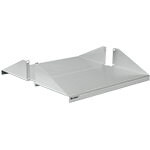 This shelf fits inside the 19" four post racks and cabinets and provides an extra adjustable 18" to 24" of space. Premium ball bearing slides are incorporated for smooth operation and long life. 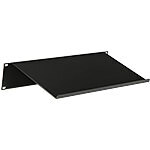 This specific 18" to 24" adjustable shelf allows access to extra space and includes a vented surface to regulate temperatures of heat sensitive equipment. 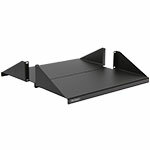 This 19" cantilever shelf takes up two rack spaces and is the most popular mounting method that provides a large flat surface. Providing an extra 4" on the back of rackmounts, our 19" x 18" deep cantilever shelf provides the extra space needed for larger devices. Vented for any heat sensitive devices, our 19" cantilever shelf mounts to any racks or vertical surfaces providing the essential space needed. With both the heat and space preventing capabilities, our 19" x 18" vented cantilever shelf provides the necessary extra space for heat sensitive devices. These 19" Aluminum Cantilever shelves are constructed from premium aircraft aluminum and finished in a durable brushed mill finish. This is our deepest style shelf for standard rack units which allows 14" of space in the front and an extra 5" in the back. 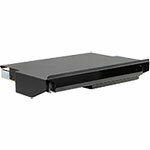 Constructed from premium 14 gauge cold rolled steel, this 19" shelf supports all standard sized keyboards and mounts to racks and cabinets. 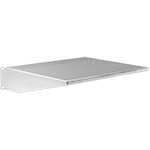 Vented for most heat sensitive devices, our deep style 19" x 19" cantilever shelf allows the maximum space across any racks or cabinets. 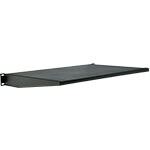 Made from premium Aircraft Aluminum, this 19" x 19" cantilever shelf is the deepest style available for mounting to racks. This is the heaviest and largest sized CPU shelf offered, which can both hold and support up to 200lbs of equipment and hardware. Capable of withstanding up to 200 lbs of weight from equipment, this 19" x 20" aluminum CPU shelf also has a larger surface area across racks. 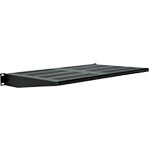 This 19" keyboard shelf mounts to both racks and cabinets, and also includes space for a standard keyboard and mouse. 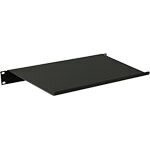 This 19" x 14" keyboard shelf fits onto racks and cabinets and provides a retractable mounting tray for both a keyboard and mouse. Please Note: Due to low quantities, extended lead times may occur. 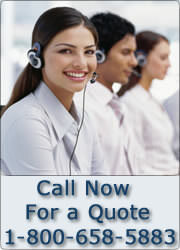 Please contact us to verify quantity. This shelf will fit all standard 19" EIA upright 4 post racks or cabinets and provides a large amount of surface space for equipment. To meet the needs of companies that rely on multiple servers to keep their businesses going, Gruber Communication Products offers a great selection of server rack shelf solutions. 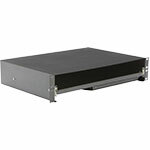 Larger rack stands and cabinet-like enclosures are capable of holding several servers in one unit by using a shelf rack system. 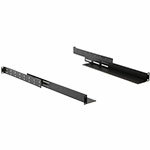 Just like a sliding keyboard shelf, some shelves can easily slide out for easy access. That way, if something goes wrong with any of your servers, you can quickly find the problem; instead of powering down the unit, dismounting to a workstation and fixing the server there. 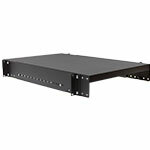 So if you use multiple servers, or many other important and expensive electronic equipment to run your business, purchase server rack shelves to keep your equipment safe, organized, and in the best possible working condition.